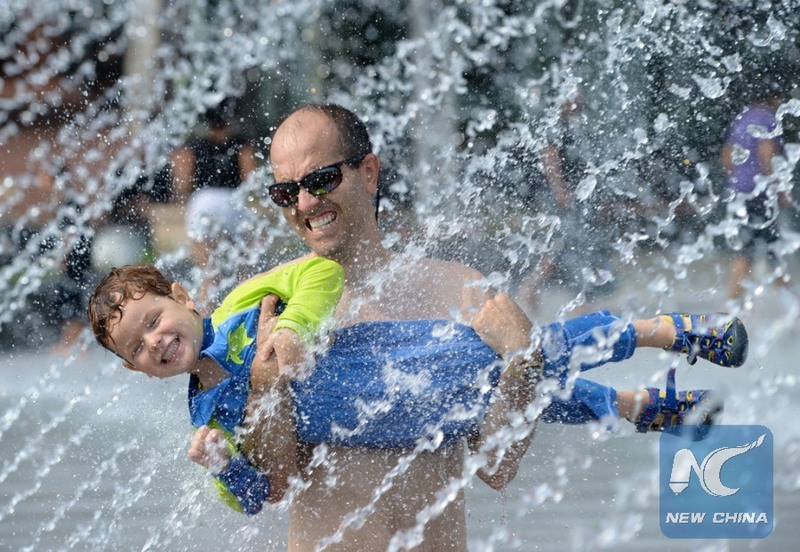 2015 was the Earth's warmest year since at least the mid-to-late 19th century, a new report confirmed Tuesday, with multiple markers, including land and ocean temperatures, sea levels and greenhouse gases, breaking records set just one year before. The peer-reviewed 300-page report, State of the Climate in 2015, was produced by more than 450 scientists from 62 countries around the world and will be published in the Bulletin of the American Meteorological Society. The report confirmed what has been widely reported in January: the 2015 annual global surface temperature hit record warmth for the second consecutive year, easily surpassing the previous record set in 2014 by more than 0.1 degrees Celsius. This was the first time the temperature exceeded the average for the mid- to late 19th century, commonly considered representative of preindustrial levels, by more than one degree Celsius. Overall, record to near-record warmth was reported "across every inhabited continent," said the report, led by the U.S. National Oceanic and Atmospheric Administration's (NOAA) National Centers for Environmental Information, adding that 12 countries, including Russia and China, reported record high annual temperatures. Sea surface temperature was also the highest on record. The globally averaged sea surface temperature was 0.33 to 0.39 degrees Celsius above average, breaking the previous mark set in 2014. The report found that global sea level also rose to a new record high in 2015, measuring about 70 mm higher than the 1993 average, the year that marks the beginning of the satellite altimeter record. Over the past two decades, sea level has increased at an average rate of 3.3 mm per year, with the highest rates of increase in the western Pacific and Indian Oceans, it said. It also found that major greenhouse gas concentrations, including carbon dioxide (CO2), methane and nitrous oxide, rose to new record high values during 2015. The annual average atmospheric CO2 concentration at Mauna Loa, Hawaii, the location of the world's longest direct measurements of CO2, was 400.8 parts per million (ppm), surpassing 400 ppm for the first time. More extreme events were also observed in 2015, with an above-normal rainy season leading to major floods in many parts of the world. Meanwhile, areas in "severe" drought rose from 8 percent in 2014 to 14 percent in 2015 globally. The report blamed the record heat on the combined influence of long-term global warming and "one of the strongest El Nino events the globe has experienced since at least 1950," concluding that 2015 continued to reflect trends of a warming planet. "This 'annual physical' of Earth's climate system showed us that 2015's climate was shaped both by long-term change and an El Nino event," said Thomas Karl, director of the NOAA National Centers for Environmental Information. "Last year's El Nino was a clear reminder of how short-term events can amplify the relative influence and impacts stemming from longer-term global warming trends."